Are you bored at the gym? 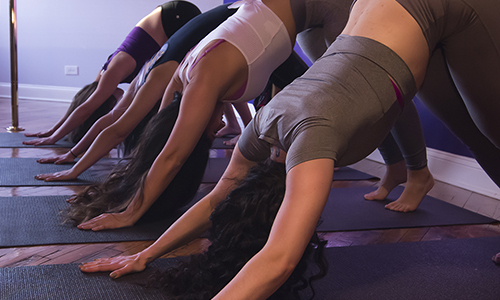 Make Fempress Fit your new alternative gym with weekly classes. Fempress Fit is a pole dance, aerial, and fitness studio in Chicago with a variety of classes that emphasize the necessity of sisterhood and fun. We firmly believe that enjoying your workout and having your sisters in fitness working with you is the key to a healthy mind and body. We use movement to connect in a feminine, fit, fun, feisty way with the Empress inside all of us. We offer fun and exhilarating classes: pole fitness, sensual pole, silks, lyra, yoga, fitness, Pilates, stretching, group aerial and mat fitness classes, private classes, specialty workshops, parties, open house performances, and more.